Portable toilets that can be found around places such as construction sites, music concerts and sporting events. A few tips and guidelines can make using one of these units less traumatic and more comfortable for the user. Some tips are for your own safety, while others are geared more towards common courtesy for other portable-toilet users. It's a good idea to bring your own roll of toilet paper. Use a flashlight at night. A headband flashlight is even better since it is a hands-free model that you won't have to fumble with while you are in the unit. You don't want to use flames, such as candles or torches, as the methane accumulation in a portable toilet can be flammable. Remember to lock the door when you get into the unit. You don't want unexpected intruders while you are in there. 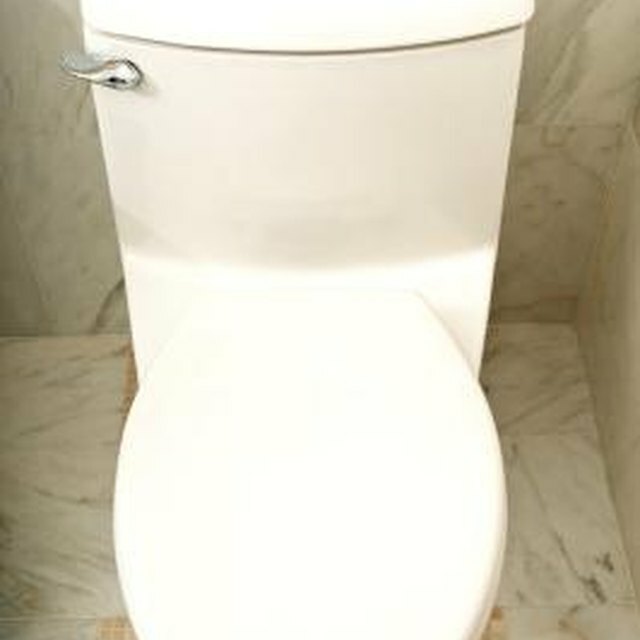 Cover the seat with a disposable toilet seat cover or toilet paper before you sit down. This will keep germs off your skin. If you prefer to hover above the seat, make sure the seat is down first and then grab the notched area on the door that is there for you to hold on to for this purpose. Make sure you are positioned correctly over the seat so you don't miss. Do not throw tampons, baby wipes, toilet paper rolls or any item other than toilet paper in the portable toilet. These may clog the machines that clean the units out. Throw other trash in a trash can. Put the seat in the upright position if you are a male. This is very considerate of the others that will have to sit on the seat after you are done. Place the seat cover in the down position when you leave. This keeps the odors down a bit. Bring your own hand sanitizer and toilet paper. Some portable toilets have sanitizer in them and some don't. You may also be lucky to find water and soap nearby, but it is always good to come prepared with your own germ killer. Toilet paper is always good to have just in case you come across a unit that has run out at the worst possible time. Don't look down. If you are phobic, have a weak stomach, or any other condition that may lead you to panic, vomit, or otherwise, just don't look into the toilet. There really is no need to examine the deposits of the people that came before you. Make sure you have all of your belongings before you leave the portable toilet. You don't want to lose any of your things and have to return to the scene later, only to find someone decided to take them once you left. How do I Repair a Thetfold Toilet?